The White Lion is the first port of call for Streatham residents looking for a cosy night with a cold pint. This gorgeous indie pub on Streatham high road offers an array of events and things to keep you warm inside its walls for a brisk winter’s evening. From a plentiful, scrumptious food menu, to a busy live music schedule and a shelf stacked with board games, The White Lion covers your every need for escaping the cold. Be sure to check it out this winter. 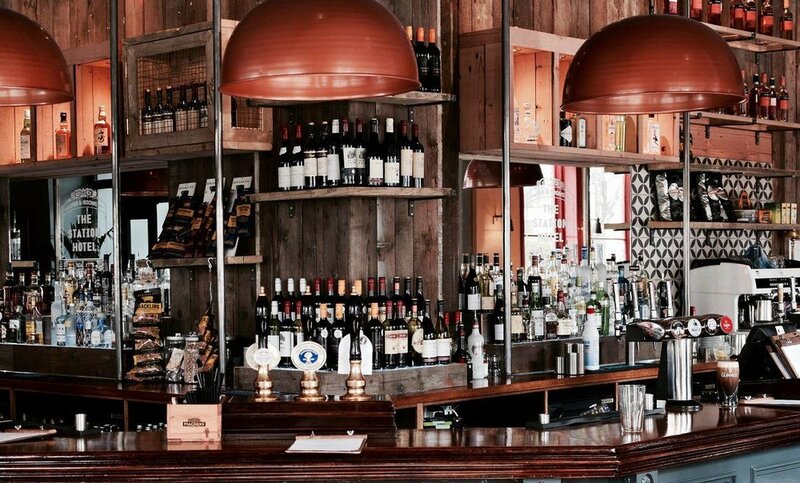 A genuine social hub for the area, The Station Hotel is the anchor of Hither Green that residents flock to to meet, drink, eat, socialise with friends, and much more. With a vast space including a full eating area and a spacious garden, this pub has a lot to offer families with young children, and is a great place for an evening meal or a Sunday roast. With some beautiful furniture including large leather armchairs, sofas, and wooden tables, the feel of the pub is made very homely and comfortable. A great place to escape the winter chill and spend a few hours with some friends over a couple of drinks. The Manor Arms is another cosy Streatham pub that can offer solace from the winter bite this year. Occupying the corner of a street at a v-shaped junction, the pub is beautifully built so that the dining area allows in the light from the turning road and allows great natural light in the day with their large window panes. Order some delicious, classic pub food off their menu, or sit back with a real ale and let the hours slip by as you sink into a deep comfy armchair and enjoy the warmth. Standing tall and proud on the corner of Stanstead Road, the Railway Telegraph is one of Forest Hill’s most cherished pubs and is favoured by locals as a social meeting point. With an intriguing interior design, the bar stands in the middle of the pub and is surrounded by lovely and varied furniture in the form of booths, tables and wall seating. The atmosphere created by this interior is one of coziness and easiness, enticing visitors to make themselves feel at home. With a complete restaurant section behind the bar at the back, set up with beautiful tables for dining and a glass roof allowing in heaps of natural light, this is perfect for families and friends. The pub’s star feature (in our humble opinion) is a old log fire and hearth, housed in beautiful blue tiling. This alone should be enough to convince you to visit to escape the cold this winter. Already residing snuggly in the perimeter of the Greenwich Market enclosure, The Coach and Horses is sheltered from the winter chill that terrorises the rest Greenwich at this time of year. 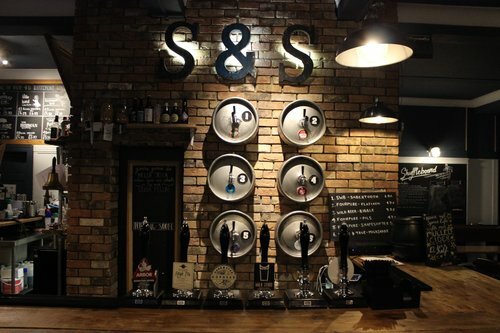 This homely public abode is all the things a pub should be - warm, cosy, dog-friendly and stocked to the brim with delicious beers and intriguing wines. A central bar that stretches around the entirety of the pub creates an accommodating environment (and easy access to your next drink), and a simple, rustic, seating arrangement made up of large wooden tables suffices for its regulars and visitors. The food is delicious and the menu is tailored to keep up with the changing seasons and tastes of Greenwich's populace. In addition, South London Club Card holders receive 20% off food! Slightly on the fancier side of things, The Crooked Well is a lovely pub and restaurant resting on Grove Lane, Camberwell. With a smart, clean interior featuring some lovely chandeliers and a bespoke wine glass rack for customers to marvel at, it is an ideal place for a Christmas meal or a Sunday roast. A seasonal menu will provide you with all you need this winter, so make sure you leave good room to get stuffed.